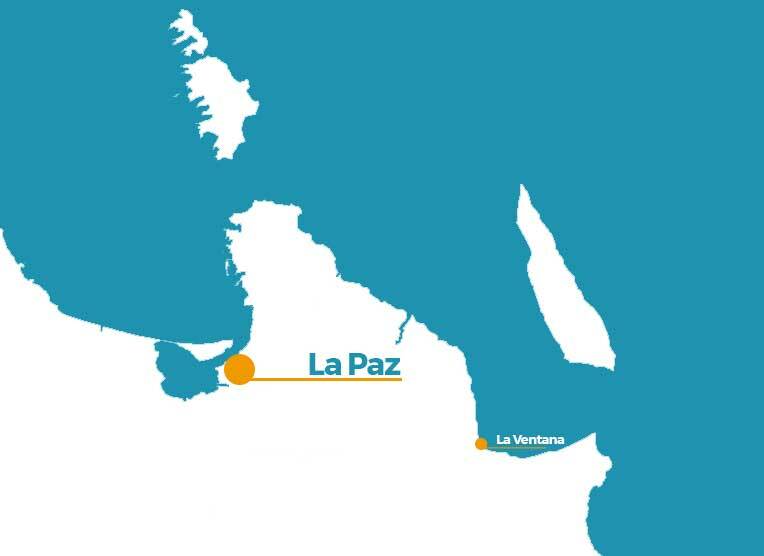 Only 40 minutes away from La Paz is La Ventana, a place on the Sea of Cortez, where a natural air tunnel is created and is ideal to practice Kitesurfing and Windsurfing. To get to La Ventana, we recommend you rent a car or hire transportation services from one of the tour operators. There are approximately 40 minutes of transportation on the road from La Paz to San Jose del Cabo, which goes through the Sea of ​​Cortez.